The Villas at Stonehaven has earned a plethora of tourism awards plus accolades from esteemed travel magazines such as Condé Nast. Although we appreciate such praise, we value most the opinions of our guests. When trying to decide where to stay in Tobago, browse the guest reviews below to gain a better understanding of what makes The Villas at Stonehaven such an exceptional property. If you have already spent some time at our boutique resort, we would love to hear about your experience. Without a doubt Stonehaven Villas is the best property in Tobago. We have been to the Island many times and always stay here. Staff are accommodating, your villa is a 3 bedroom self-contained home with private infinity pool and large sun deck that adjoins a 14 x 50 foot covered veranda. You need a car to enjoy island sightseeing and attending to grocery shopping. We will be back again. After visiting another hotel north of the island that was a disaster from start to finish we decided to head south to find this gem of a place, we are talking opulent in every way. private pool, maid in the mornings to do washing, fast internet and all in a fantastic setting that clearly is cared for with a passion. Its perfect for self catering which we enjoy, as we like to go out and explore restaurants etc.. The staff have been so lovely and i really cant wait to come back to the island and bring all the family. We arrived at our villa at Stonehaven at about 5pm and on being show into the house our jaws dropped, first at the stunning view from the enormous terrace facing just about west as the sun was beginning to set, it took a few minutes before we were able to take anything else in, then as we were shown around the house we realised we had arrived at the most stunning place you can imagine. It was our 10th wedding anniversary and Girla our villa attendant (who was amazing) had decorated the bed with flowers and towel swans it looked so romantic. We were shown the rest of the house we could see that the house was extremely stylish based on a 17th century plantation house. The bedroom was air-conditioned and the bed very comfortable with top quality white linen. The kitchen was fitted out with everything you could want including a large American fridge freezer and an enormous wine cooler. The extensive outdoor living area with the private infinity pool was where we spent most of our time watching the sun go down drinking G&T's Girla was on hand daily to cater for all our needs and nothing was too much trouble. Franklyn (General Manager) and his team were very professional and always there to help. We spent 6 days here and loved every minute. The private villa pool and the arrangement of the outdoor space with covered living and dining areas next to the pool made us very lazy about leaving the villa at all. Service was excellent in the restaurant; the housekeeper, Amrell, was very discreet and helpful, and I can't say enough about how great Germaine, the evening/night receptionist was. One evening I needed some medicine and she connected us to a pharmacy and phoned our villa twice subsequently to see if I had obtained the med and how I was doing - outstanding! Without a doubt Stonehaven Villas is the best property in Tobago. We have been to the Island many times and always stay here. Staff are accommodating, your villa is a 3 bedroom self-contained home with private infinity pool and large sun deck which adjoins a 14 x 50 foot covered veranda. You need a car to enjoy island sight-seeing and attending to grocery shopping. We will be back again. Wonderfully romantic, very private place to stay in a great location! The place was great the people we friendly. Close to the beach but you won't want to go anywhere, except to the store to get more Rum. Very warm welcome from Lorraine who was attentive throughout our stay. She kindly offered to book restaurants for us. The villa was delightful in a very picturesque setting. Wonderful outside dining/entertainment area. Great housekeeping from Vernette. The restaurant food was excellent. Very peaceful spot. Bedrooms were large and very well appointed. Massive beds. Great a/c and ceiling fans. Large bathrooms/dressing rooms. Showers could do with updating and water pressure was a little weak. Very friendly staff. Would thoroughly recommend Stonehaven Villas. Can't wait to return! We wanted a couple of days luxury after island hopping in the Caribbean and we couldn't have found a better place. High on the hill with a great view of the ocean our villa was surrounded by trees keeping it very private. The villa had everything you would need, even hummingbirds visiting the flowers on the terrace, and blue birds bathing in the infinity pool - beautiful! This villa would sleep and least 6, so would be perfect for a family, group of friends or just a couple. The villa's maid attends every day and would cook your meals for you or if like us you wanted privacy will leave you alone. A lovely romantic way to finish our 5 week holiday what's not to like? Stayed with my wife on our honeymoon. We had a relaxed and rejuvenating stay. The property was wonderful. The management and housekeeping staff were delightful. I'd highly recommend this property to anyone looking for a quiet vacation. 3 Bedroom well appointed, lots of space, nice infinity pool. Good 5 hour maid service. Beautifully landscaped grounds. Balconies very nice. Kitchen fully equipped and up to date. Huge porch dining table for 8.Loits of closet space. Huge bathrooms with huge shower. We were expecting a smartly furnished room with a deck, but instead we evidently booked a 2-story mansion all to ourselves! It had its own private infinity pool, a huge deck patio/deck area, the largest kitchen I've been inside in the last 11 years, and four-poster beds everywhere we couldn't decide which one to sleep in! Plus the view to the ocean is amazing! Next time I'll come with the whole family and it'll be ridiculously cheap! Stayed at Stonehaven Villas with 3 friends during early March 2014. Tobago island is wonderful and these villas a great. Great location (short walk to shops, restaurants, other hotels and beach), great view of the ocean from the villa, great size, great service at Reception, Bar and Villa Attendant, all topped with a private pool! Very large and can house much more than 4 people. Very good value for money and cannot think of any improvement opportunities. Fully recommended!! After a long Business trip in Trinidad, a well deserved break was needed. 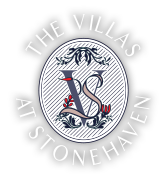 I was recommended by plant managers and local people to stay at the Villas of Stonehaven instead of a hotel near the beach. I did not want the hotel experience since I have lived in a hotel for weeks. I needed to relax, sleep in if needed and have privacy. The Villa was well kept up and we had our own maid show up daily to help clean, do laundry, wash our dishes "If Needed." Very friendly and helpful for local information We like to clean up after ourselves but the service was great! We cooked on the BB-Q gas grill since I haven't been able to cook on one for weeks. The Villas had their recommended cab driver who would take you anywhere at a good rate. We went to the local grocery store and stocked up on misc. cooking items. We went down to the bar and restaurant one night to try it out. The food was good and the drinks were even better. The view from there was unbelievable! Villa we stayed in was beautiful and I just loved the huge size of it which may have been bigger than my own home back in the States. The pool was very clean and I loved the way it flowed over into the gutter to be cleaned through the pump system. The landscaping was especially great and we could not believe the size doves and humming birds. It is a MUST VISIT Place! The staff was very pleasant and I will be back!